On a Web Team where everyone knows what they should (& should not) be doing, all tasks have a go-to-guy and nobody has to worry about stepping on a colleague's toes. If only all teams were like this! 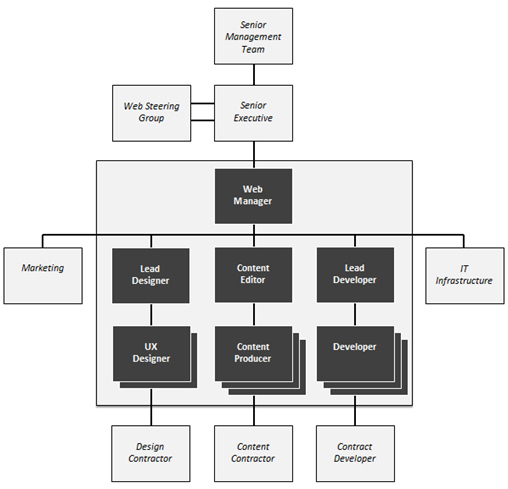 Read more at Roles & Responsibilities on a Web Team.